Urban Retreat 501 is available as skinny Skinny Planks 25 cm x 100 cm. This means the geometry still works perfectly across all our tiles, whether 50 x 50 cm squares or Skinny Planks. Urban Retreat 501 is suitable for herringbone and ashlar installation. This gives possibilities for very expressive designs, as well as a perfect, seamless appearance right across even the largest of rooms. 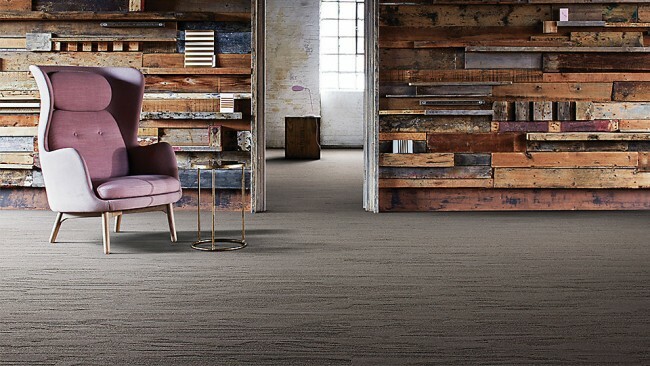 Skinny Planks come with the same credentials as our normal square tiles, such as having a high percentage of recycled content in their backing. Urban Retreat 501 is even made from 100% recycled nylon. 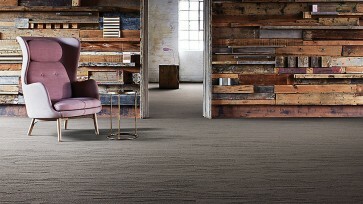 Urban Retreat 501 is the first collection available as Skinny Planks. Skinny Planks are narrower rectangular tiles, exploring new modular formats.